Trade unions in the 19th century were seen as a man’s business – until Emma Paterson came along. The young Londoner had previously worked at the Working Men’s Club and Institute Union and briefly at the Women’s Suffrage Association. But it was her honeymoon to the USA in 1873, a trip that included visits to all-women unions like the Female Umbrella Makers’ Union that fired Emma into action. Back home, she wrote an article for the Labour News proposing a new organisation for working women. Four female-dominated trades in particular (tailoring, earthenware, straw plaiting and bookbinding), she argued, might be able to support trades unions. Women workers were often paid half or even less than half of what men earned for doing the same work. Yet mixed unions (like those in the cotton industry) weren’t the answer, Emma believed, since women “paid only half contributions and were excluded from management”. 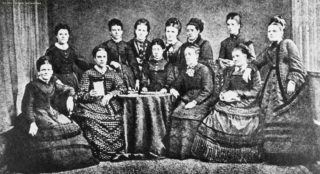 The Women’s Protective and Provident League was established in 1874 (a name that deliberately avoided the term ‘trade union’ to keep male trade unionists happy). With Emma as secretary, the League supported the 1875 Dewsbury Weavers’ Strike, when an all-woman strike committee opposed attempts to reduce their wages by 10%. 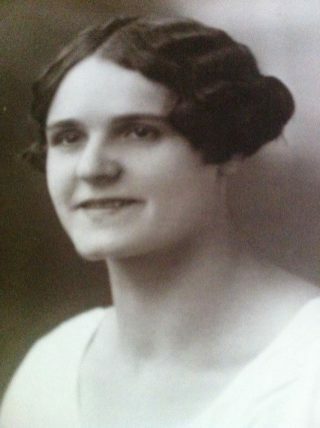 Through the League, Emma played a part in forming around thirty trades unions, representing upholsterers, shirt-makers, tailors, dressmakers and more. That’s not all. She also started the Women’s Union Journal and established a Women’s Printing Society and printing press, and encouraged the employment of women in the sector. The feminist also achieved another important first. No woman had been admitted to the Trades Union Congress until, along with Edith Simcox, Emma attended the Glasgow congress in 1875. Some of her views at the TUC were controversial. She opposed new legislation that she believed would only worsen the working conditions of factory women and reduce their wages. But her tact and perseverance helped her soften some of the prejudice male delegates had against female activists. When she died aged just 38 from diabetes, a male opponent at the TUC remembered Emma with grudging respect. “Her views… were always unpopular, but she expressed them fearlessly”, he said.